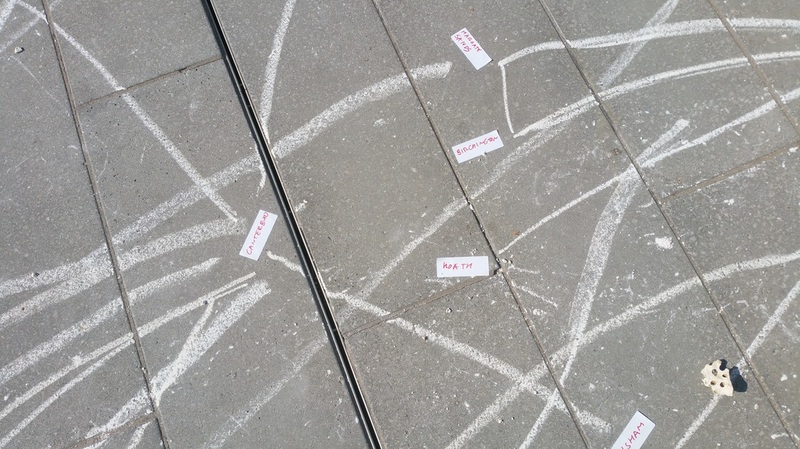 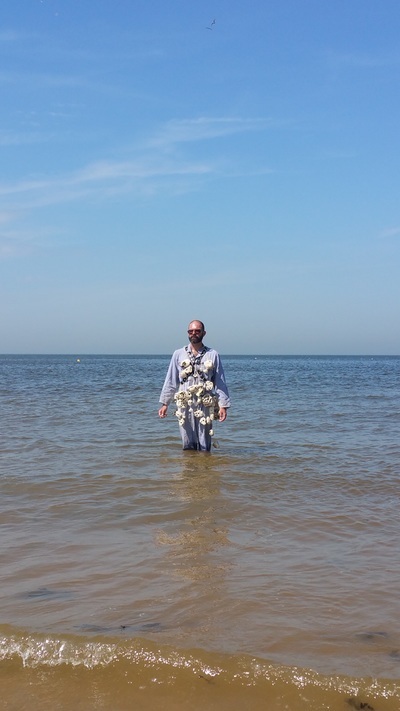 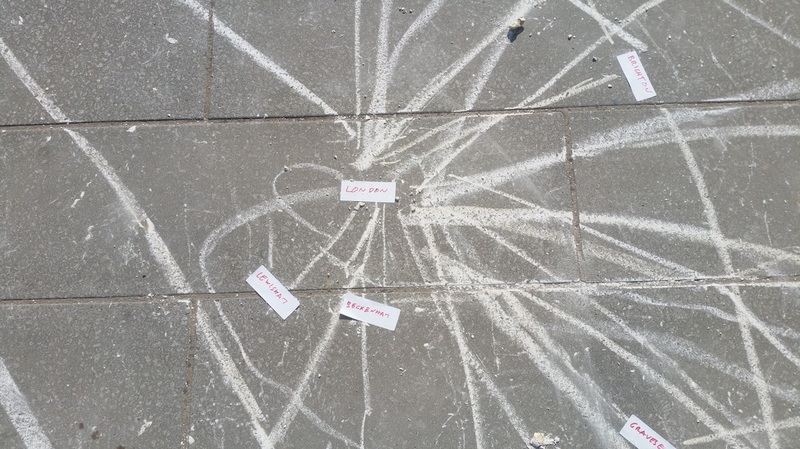 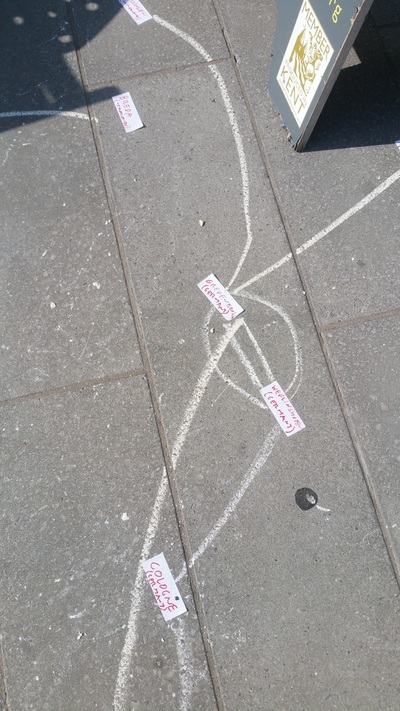 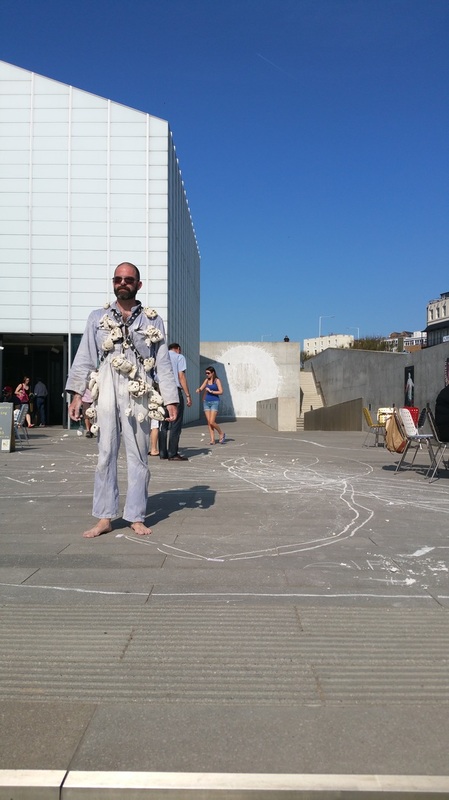 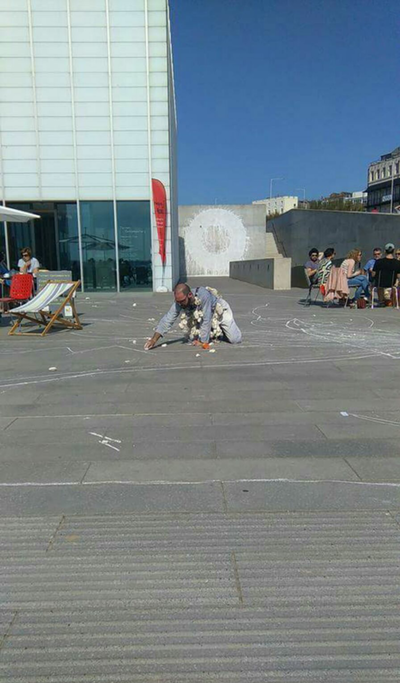 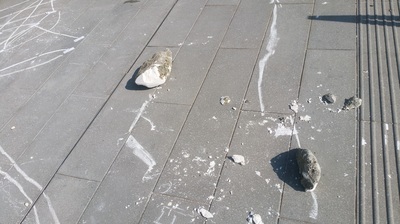 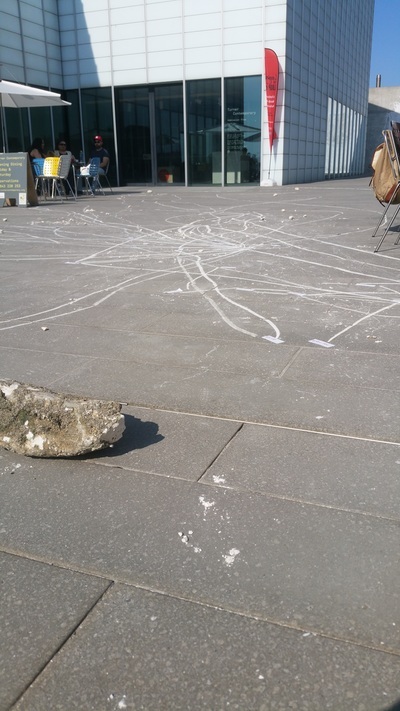 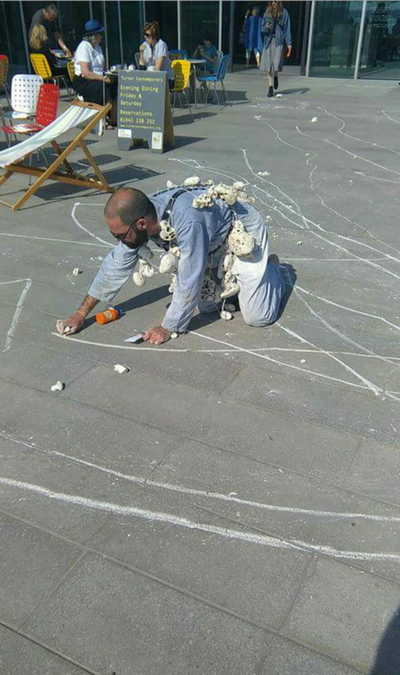 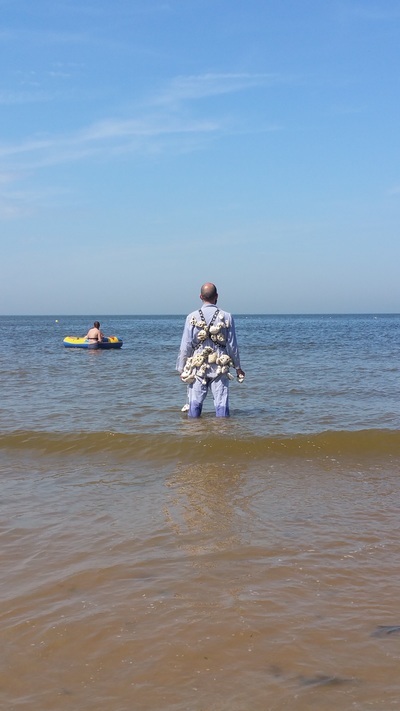 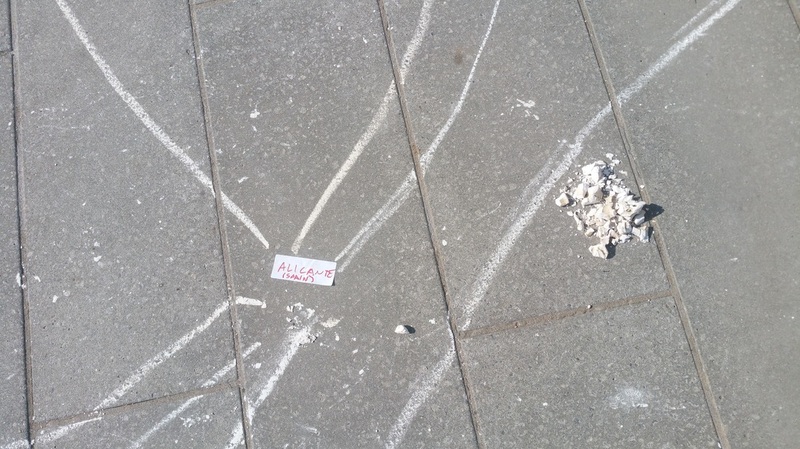 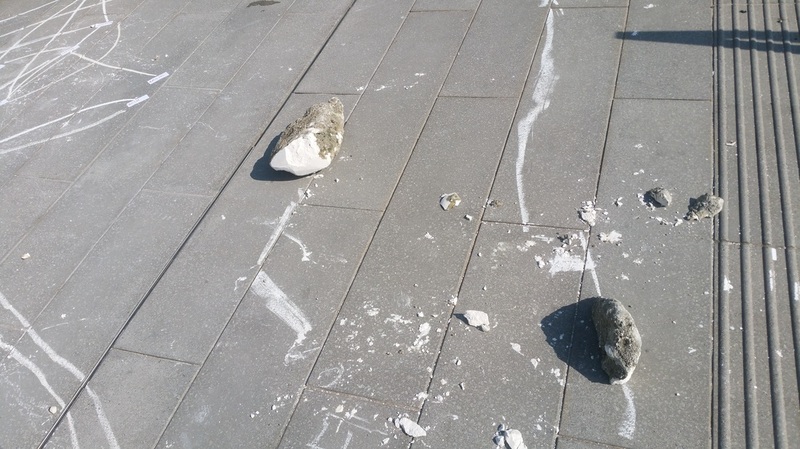 This piece continues an ongoing exploration of the intricacies of identity through a visual and task-based vocabulary, Combining land art and live performance, this day-long piece began by collecting local chalk stones from Margate Sands (near the tidal pool). 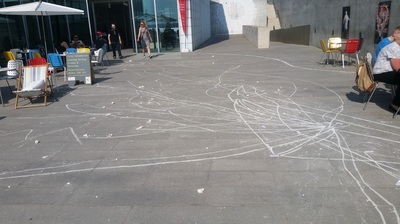 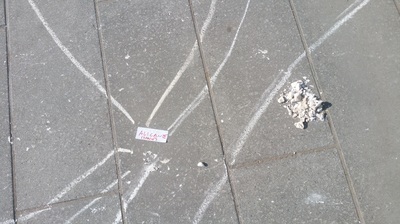 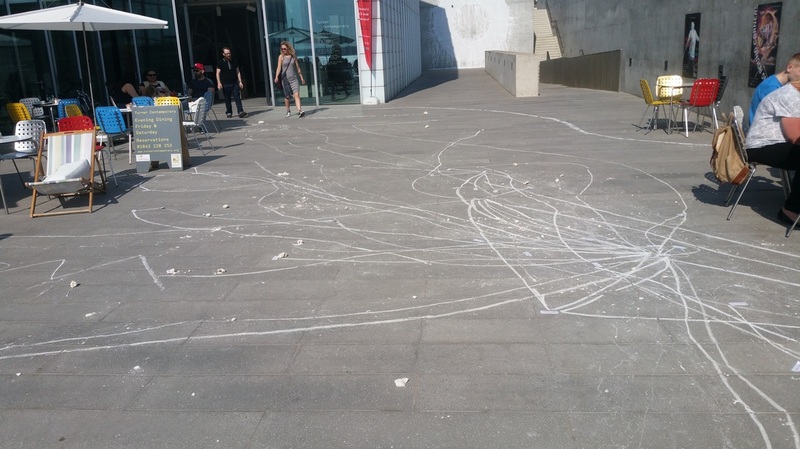 Weighed down by this baggage, I dragged a large chalk bolder from the beach, all along the promenade, to Turner Contemporary, trailing a line behind me, Upon arrival, the large bolder was smashed against the ground. 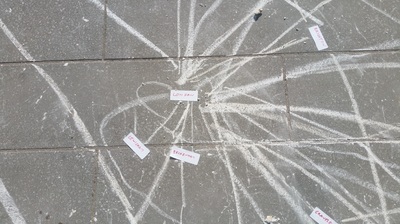 In an absurdist fashion, I then began the impossible task of attempting to map all the journeys (large and small) made by be and the passing audience. The piece thus drew a direct link between our geographical transience and our multilayered sense of identity and belonging.